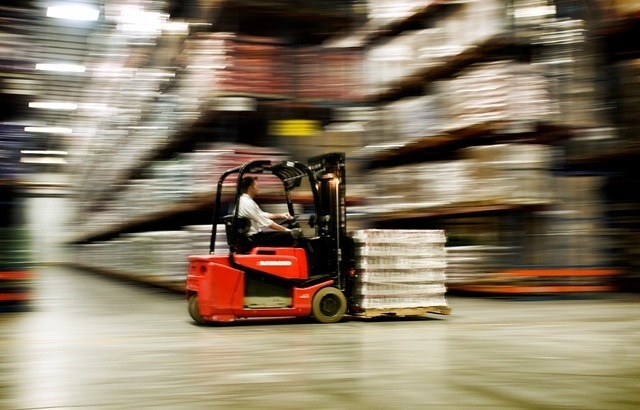 A recent survey by Modern Materials Handling magazine found that, even after a number of decades, pallets still occupy a driving position in the smooth and effective functioning of the contemporary warehouse and distribution centre environment. Wooden pallets remain the leader for logistics and storage solutions, but their majority share is slowly declining in the face of stiff competition from their plastic counterparts. Wooden pallets were initially integral in the improvement and modernisation of materials handling, increasing efficiency to such an extent that they have endured, largely unchanged, for decades. The materials and designs used have developed somewhat to accommodate changing industrial processes, goods being handled and regulatory environments. However, their essential function – assisting the quick movement and storage of goods, minimising product damage and reducing work-related injuries – remains the same. A strong customer preference for receiving palletised goods also remains, which is unsurprising considering that palletised products are typically easier to manoeuvre than other forms of unit load bases. 91 per cent of firms surveyed reported using wooden pallets, while 37 per cent employ plastic. The responses are not exclusive, so many firms are using a mix of plastic and wood. Just 5 per cent of companies use metal pallets. A year ago, the Modern Materials Handling survey found that 93 per cent of readers used wood, so the latest result represents a slight drop in wood pallet usage. Asked to rate the most important factors affecting pallet purchasing decisions, price came first. Strength, durability and re-usability followed in order of declining importance, explaining the continued dominance of wood pallets, which typically offer the lowest prices but less re-usability and durability. Of those firms using plastic pallets, the reasons given included durability, cleanliness, safety and sustainability, again in declining order of importance. The rate of adoption of plastic seems to have stalled – almost three-quarters of businesses report using the same number of pallets as last year, whereas a similar number of companies, 13 per cent, say they are using fewer and greater numbers of pallets made from plastic respectively. It doesn’t seem that plastic pallet use will decline, though. Asked about projections and expectations for the future, three-quarters of respondents expected the number of pallets in use to remain the same. 12 per cent of companies expected to see an increase, while 11 per cent intended to reduce their use of plastic. The fact that 57 per cent of respondents in 2015 replied that they expected plastic use to remain the same in the next year, compared with three-quarters of firms surveyed this time around, adds further credence to the argument that adoption of plastic has stalled. Metal pallets, a more costly and niche option, continue to see very slow growth. 99 per cent of those questioned said that they didn’t expect to increase their usage of metal in the next year. The annual survey of readers of the magazine digs deep into the primary factors, trends and developments at play in the pallet industry over the past year. The survey, carried out by Peerless Research Group, examines purchase decisions and intentions, sourcing options for wood and plastic pallets, and developments such as pallet pooling.